When you think of healthcare fraud, what is the first thing that comes to mind? If you are like most Americans, you probably consider it to be a crime committed by people who do not have health care coverage or benefits. Perhaps you think of average consumers who find an illegal and affordable way to get the healthcare services they need, without paying co-pays or user fees. It makes sense. In the news, you are likely to hear about the hacking of electronic health information records for data that is sold on the black Internet to fraudsters who then create false identities to access health care. Selling someone an identity with a great health plan and benefits? That is something that would be easy to sell on the black market (and it is). 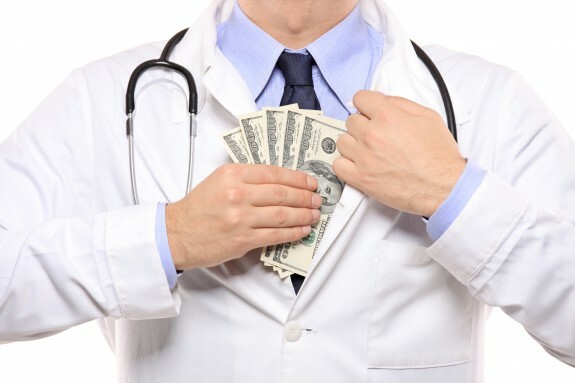 The consumer is always suspected as the source and beneficiary of health care fraud, where, in truth, there is another culprit who is making more money – your local hospital or medical clinic. Since 2009, the United States has been actively pursuing a digital transformation of its healthcare system. In order to save billions of dollars and improve the accuracy of patient care, in long-term care, emergency, and preventative health services, the government instituted a program called “Electronic Health Information Exchange” (HIE). Some of the benefits that are already being realized through HIE include a reduction in patient readmission, medication dispensing accuracy and reduction of prescription errors, improved accuracy of diagnoses, and decreased duplicate laboratory or technology symptom testing. That sounds really good for a health care system that is, in many opinions, teetering on the edge of bankruptcy due to demand. Eliminating the inefficiencies of paper records, and improving the accuracy of care and billing sounds like a win/win for everyone, unless you are a practitioner or care provider who is committing billing fraud. One of the things that is becoming easier and more apparent now is the extent to which American health care is plagued by billing fraud. It is something that is shocking to patients, and even more shocking to the medical community. Electronic health records are making it easier than it has been in the past to track down deliberate instances of duplicate billing, coding errors (mispricing of medical services), and other record-keeping errors that favor a fraudulent profitability for an organization, doctor, or specialist. The outcry from the medical community has been divided, with most care practitioners actually excited about the improved care opportunities provided by electronic health records. However, what lawmakers are also just starting to discover is the very tip of a problem that has hindered the delivery of affordable healthcare to Americans. If your practice or company had increased your profit margin by up-coding the value of certain care services, would you be excited about a transparent, electronic record-keeping method that would make fraud almost impossible to hide? That provides one perspective on the physician “push back” against electronic health records, and exposes the truth about health care fraud in the United States. For every ten hackers who attempt to sell your information and compromise your identity online, there is doctor, laboratory technician, or clinic that is counting on the inefficiency of paper records to bury deliberate and illegal discrepancies in billing. How Big is the Problem of Patient Billing Fraud? On June 23, 2016, the United States Justice Department issued an announcement that it had successfully completed a sting operation that resulted in the “most defendants charged and largest alleged loss amount in strike force history.” Over 300 individuals were charged in health care fraud, for damages of over $900 million dollars in false billing. The national sweep was historically significant, as it spanned 23 states and involved Medicaid Fraud Control Units in each state. The Affordable Care Act (i.e., Obamacare) allows the Medicare & Medicaid Services (CMS) to suspend payments to health care providers as a result of the investigation, and both the number of individuals charged and the value of the fraud ($900 million) are record-breaking for the Department of Health and Human Services (HHS) investigative division. This is one large and important example of how the biggest threat to the American healthcare system, in terms of fraud, may not be hackers or individuals who use identity theft to access care. Rather, it might be your small town doctor’s office, working in collaboration with other networks. In 2011, it was estimated that health care fraud may cost the American government up to $282 billion dollars annually. Federal prosecutors investigated over 2,000 independent cases of healthcare fraud in 2013, thanks to the work of the Medicare “strike force” that was organized to combat all types of healthcare fraud, founded in 2007. Founded in 1985 by private health insurance companies, and federal and state governments, the Association is a collaboration to stop health care fraud in private payer and public health programs. For an accurate and updated snapshot of the state of healthcare fraud in the United States, and what is being done to stop it, read “The NHCAA Anti-Fraud Initiatives 2015” report. The middle and upper-class Americans who are increasingly being found guilty of health care fraud are physicians and specialists, therapists, and support care workers and their agencies. If you are a patient enrolled in the Health Exchange and the Affordable Care Act, you can report a case of suspected coding or billing fraud by calling 1-800-318-2596.